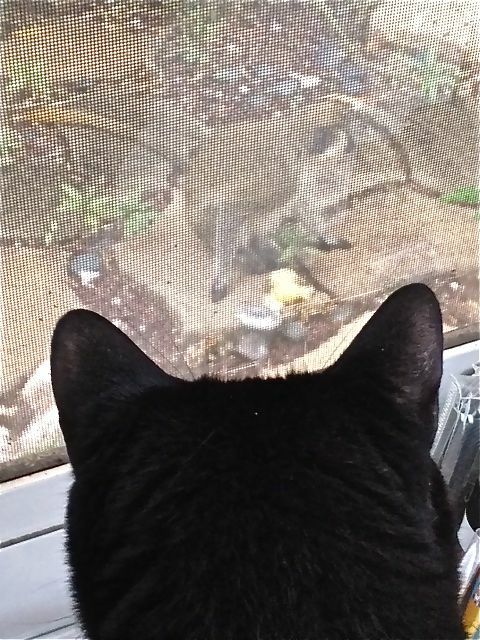 Django watching a monkey eat a key lime. The boys are back in town. Now that they've found the lemon tree, we may not be able to get rid of them. 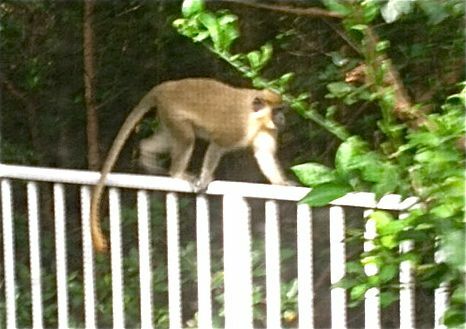 I'm trying to write my novel and the monkeys are putting on a show. 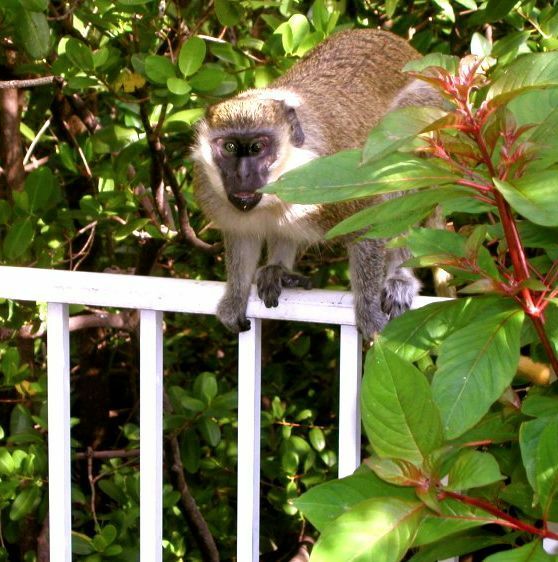 Our monkeys paid a visit today. 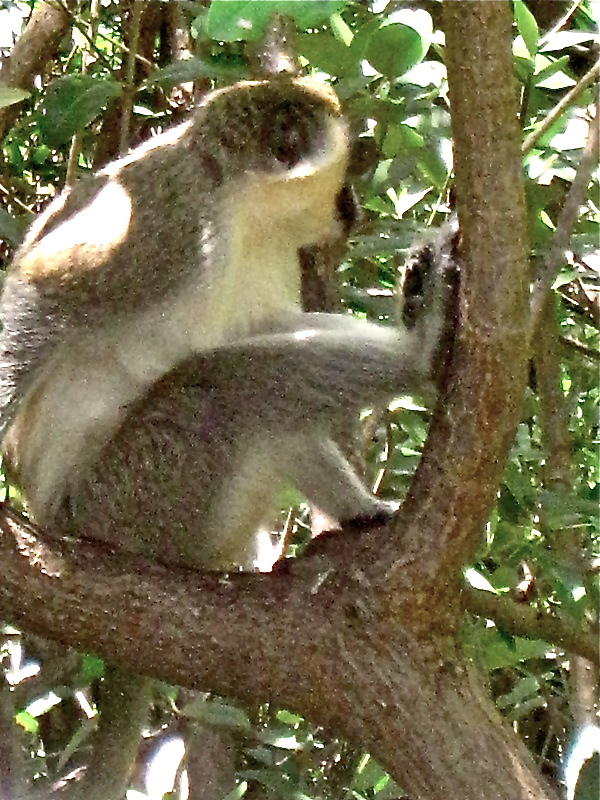 Here's one eating a lemon he stole from our tree. He's back staring at the tree now. They spent twenty minutes up in the tabebuia tree. His pal just grabbed another lemon. Make the news! Heading north to Lauderdale. This guy is in our backyard.